Why do we ask you to go through this process? We’re glad you asked. It Eliminates Confusion: By registering, your gift certificate information is sent to us immediately with a unique confirmation number. No questions about who bought it, when, for how much or for whom, which can lead to unnecessarily embarrassing situations. If you want us to fill out the gift certificate here we’ll have the exact information you sent us at our fingertips. Versatility: You can go online from any computer/device and buy a gift certificate, print it out and tell your friend her/his sweet treat is ready to be redeemed right then. She/he just needs to call to make an appointment. If there is availability, that person can get her or his service the same day. 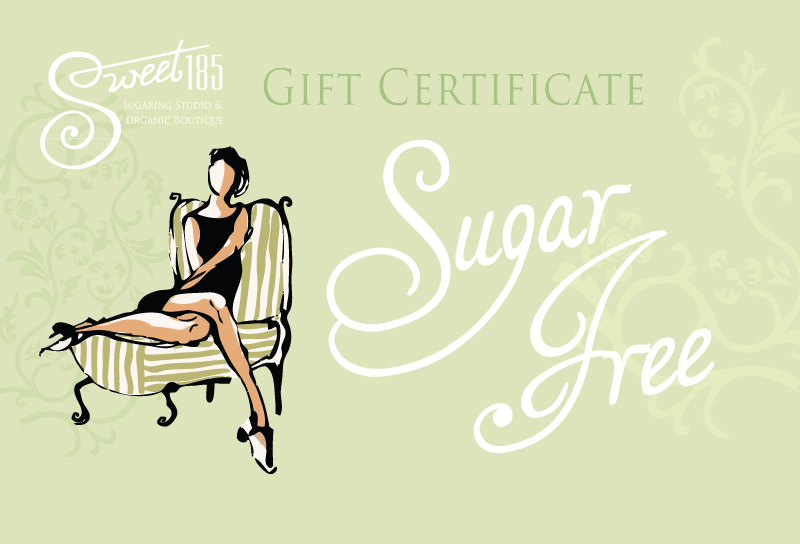 Personalized Service: Many clients who purchase gift certificates want us to send their sweetie a lovely card with it or perhaps some sweet treats from the boutique. It is one of our most favorite services to provide. Simply call us at 329-3500, shop over the phone with our Concierge and she will beautifully wrap it all up and send it using the correct information you provided. And don’t forget, FREE SHIPPING.Finally, we are always looking for ways to make our services more client-friendly and information technology is one way to do it. Once you are in our system you can come back anytime to take advantage of these new methods. You WILL NOT be sent unsolicited sales material or spam, nor will any information be shared with third parties. The only item we send out is our twice-a-month E-Blast, which may be easily unsubscribed from if you don’t care to get it.